Which of these two entry-level medium SUVs delivers the best value for money? When growing families are in the market for a medium SUV up to about $30,000, the dilemma that always arises is the question of value versus priorities. Will the buyer settle for a car that comes close enough to the purchasing criteria while remaining under budget? Or is it worth the financial stretch of an extra two or three grand for a vehicle that has everything the buyer demands? 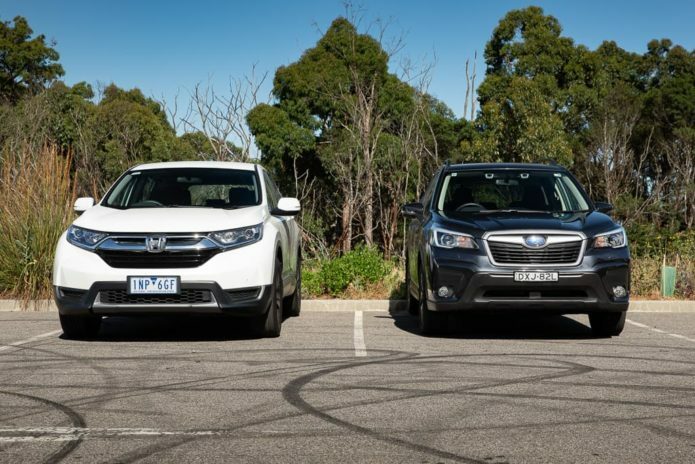 The Honda CR-V Vi and the Subaru Forester 2.5i present a unique opportunity to find out how this sort of dilemma plays out in reality.